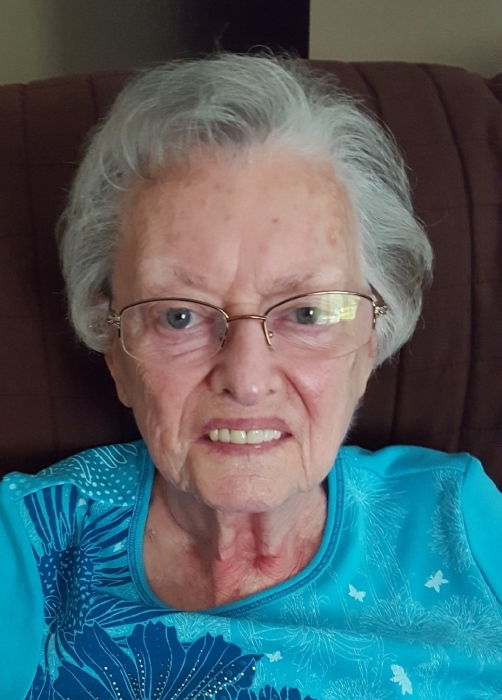 Lodema Harmon, age 88, of North Branch passed away April 3. 2019, at home with her family at her side. Lodema was born on August 31, 1930, the daughter of Clyde and Bertha (Carmer) Simmons. She grew up in North Branch and was a 1948 graduate of North Branch High School. Lodema married Earl Harmon on December 12, 1953 in North Branch. Lodema owned and operated a flower shop and later worked at Chaso-Royco as a stamper. She was a member of St. James Lutheran Church and was a past Sunday school teacher there. Her favorite pastimes were spending time with her family, gardening, crocheting and sewing. Lodema is survived by her husband, Earl; her daughter, Nancy (Rick) Opperman of North Branch; her son, Earl (Carol) Harmon of South Carolina; her sister, Marie Haines of Maryland; and special friend, Trisha Quade. She is also survived by 4 grandchildren, 4 great-grandchildren and many nieces and nephews. Lodema was preceded in death by her parents, her infant son, David and her sister, Laura Dziduch. Memorial may be directed to St. James Lutheran Church or McLaren Hospice. The family will be present for visitation on Saturday. April 6, 2019, 9:00-11:00 A.M. at St. James Lutheran Church. Funeral service for Lodema will follow at 11:00 A.M. Pastor James Saatkamp will officiate.